Tourism • Multi-media campaign will tout how close four ski areas are to urban hotels, dining, arts. | Courtesy Visit Salt Lake Visit Salt Lake's new branding campaign for the four Cottonwood Canyon ski resorts will emphasize that Salt Lake isn't a little ski town but a big ski city with plenty of housing, eating and entertainment possibilities close by. Chris Detrick | Tribune file photo A snowboarder rides at Brighton in 2012. Salt Lake City is now marketing itself as Ski City USA because of its proximity to Solitude, Brighton, Snowbird and Alta. 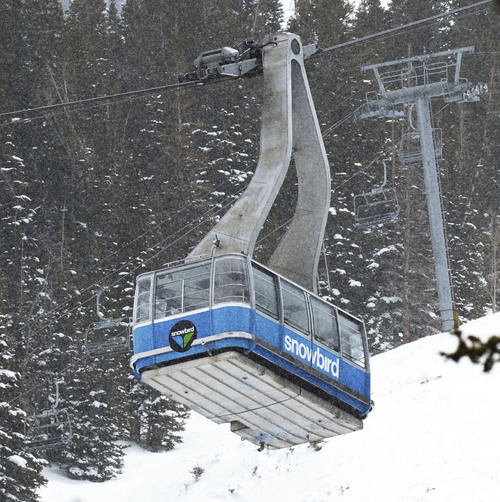 Steve Griffin | The Salt Lake Tribune The blue tram at Snowbird ski resort in Little Cottonwood Canyon Salt Lake City, Utah Monday, May 12, 2014. Salt Lake City is now marketing itself as Ski City USA because of its proximity to Solitude, Brighton, Snowbird and Alta. 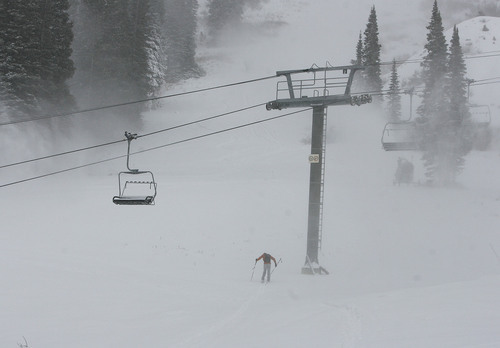 Steve Griffin | Tribune File Salt Lake City is now marketing itself as Ski City USA because of its proximity to Solitude, Brighton, Snowbird and Alta. Scott Sommerdorf | The Salt Lake Tribune Westminster student Joey Cathcart (right) helps Nepalese refugee Bhakti Dahal with her skis as they start out onto the slopes for her first ski lesson. Salt Lake City is now marketing itself as Ski City USA because of its proximity to Solitude, Brighton, Snowbird and Alta. Steve Griffin | The Salt Lake Tribune Snowbird ski resort in Little Cottonwood Canyon Salt Lake City, Utah Monday, May 12, 2014. Salt Lake City is now marketing itself as Ski City USA because of its proximity to Solitude, Brighton, Snowbird and Alta. 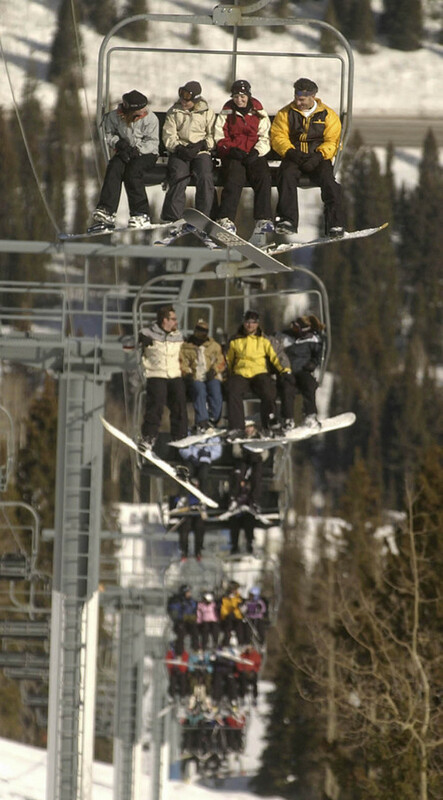 Skiers and snowboarders fill the Eagle Express at Solitude mountain resort. Salt Lake City is now marketing itself as Ski City USA because of its proximity to Solitude, Brighton, Snowbird and Alta. 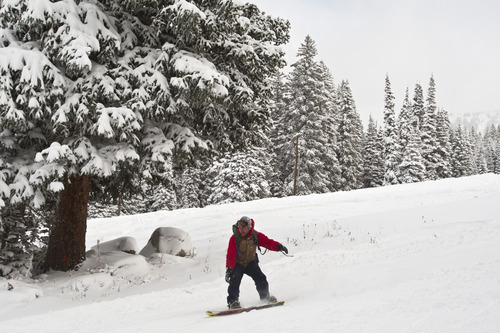 Photo by Francisco Kjolseth/The Salt Lake Tribune Scott Sommerdorf | Tribune File A skiier tours up near the then-closed Collins lift at Wildcat Base at Alta Ski Resort. Salt Lake City is now marketing itself as Ski City USA because of its proximity to Solitude, Brighton, Snowbird and Alta. There are any number of cool ski towns, but Salt Lake is now laying claim to be the only legitimate Ski City. 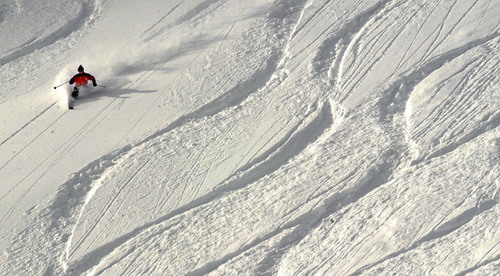 "Ski City USA" is the new moniker that Visit Salt Lake and the four ski resorts in the Cottonwood Canyons will be pitching in marketing campaigns to attract destination skiers. "Once you&apos;ve stayed in Ski City, you&apos;ll never stay in a ski town" is the tagline for the $1.8 million campaign, which emphasizes the proximity of four world-class ski areas (Solitude, Brighton, Snowbird and Alta) to a major metropolitan area with hotels, restaurants, plenty of arts and culture, professional sports and an international airport. 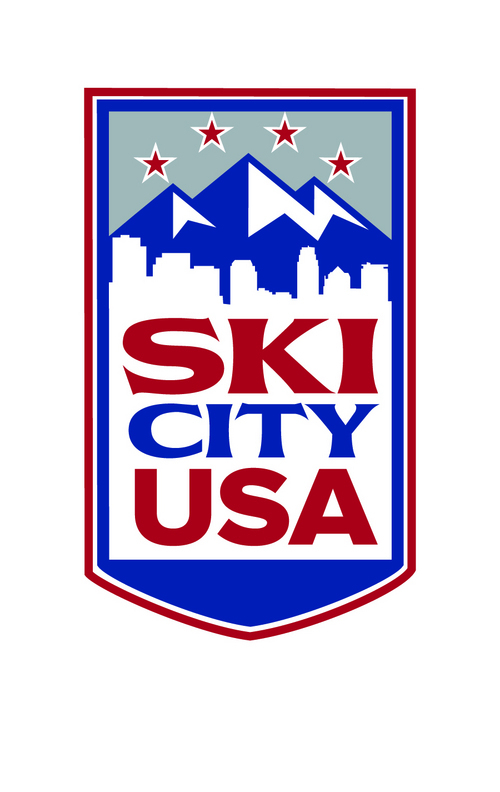 "Ski City USA is a fantastic alternative to the traditional ski or snowboard experience where visitors are restricted by the limited offerings of a small resort town," Salt Lake County Mayor Ben McAdams said Tuesday at the marketing campaign&apos;s unveiling at the Market Street Grill between the mouths of Big Cottonwood and Little Cottonwood canyons. Speaking before and after a promotional video that emphasizes that Salt Lake County has 1,300 restaurants as well as seven breweries, McAdams said the hundreds of millions of dollars brought by ski tourism benefits the whole valley. Sandy Mayor Tom Dolan elaborated on that point, noting that his city&apos;s 30-year master plan positions it as "a base camp" for the ski areas. "This whole valley is a base camp. 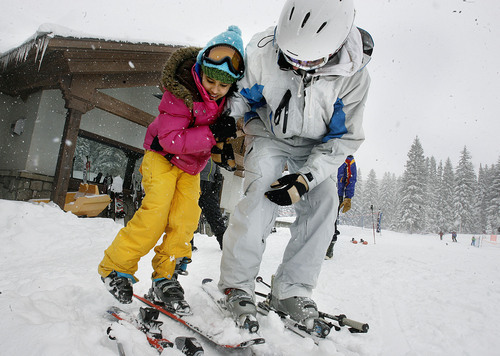 We all benefit from skiers coming here." He said Sandy currently is negotiating with two hotel groups to establish more lodging establishments in Sandy. Another hotel is being developed near the mouth of Big Cottonwood Canyon, increasing housing that cannot be provided in the narrow, environmentally sensitive canyons. Those additional hotels beds were embraced by Snowbird Ski & Summer Resort President Bob Bonar and Alta Mayor Tom Pollard, who also is general manager of Alta&apos;s Rustler Lodge. 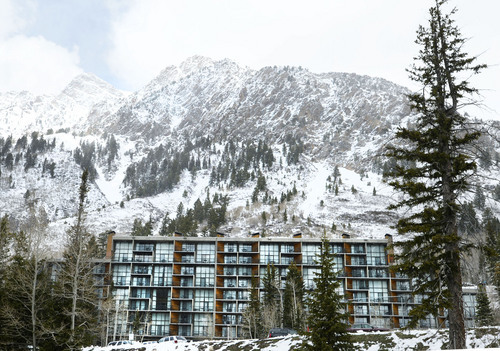 "We need to grow the number of beds in Salt Lake County," said Bonar, noting that only 5 percent of Snowbird&apos;s pass purchasers stay at the resort. Added Pollard: "The ski resorts can&apos;t survive on just the local skiing residents, so these [out-of-state visitors] are a key component of that success. The more people who come here and see the product we have, the better off we all are." This new branding approach by Visit Salt Lake, the nonprofit corporation responsible for promoting Salt Lake County as a convention and travel destination, will fit well with the state&apos;s ongoing advertising campaign, said Utah Office of Tourism Managing Director Vicki Varela. The Ski City USA name, she said, "makes so much sense maybe we should rename" the county, she joked. "It distills who we are in a positive way. It&apos;s a beautiful, elegant way of reminding us Mother Nature played favorites with Utah." Varela is hoping this campaign imprints that impression on out-of-staters, who still don&apos;t know enough about Salt Lake City. Case in point: In a recent Tourism Office poll, 60 percent of respondents who saw a photo of Salt Lake City&apos;s skyline with the Wasatch Mountains looming in the background identified the city as Denver. "It&apos;s outrageous that we have the product and they have the brand," Varela said. "This [branding campaign] gives us the story we deserve to have on the national stage."